A smart kayak carrier with built in load assist. Felt-lined rear support for easy loading. Simply slide the kayak up onto the car roof. 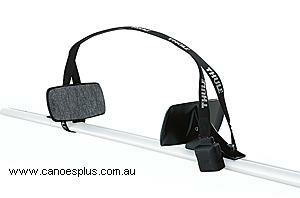 Sturdy straps and adjustable rubber supports on the front kayak holder keep the kayak firmly secured.